At Flagger Force, we utilize our Advanced Crew Leaders (ACL) to execute large, complex jobs across our footprint. David Russ, an ACL from our Middletown Operations and Training Facility, gets to do what he loves most: be outdoors and travel throughout the state of Pennsylvania. Recently, we sat down with David to hear about his experience at Flagger Force. Flagger Force: Thank you for taking the time to speak with us today. 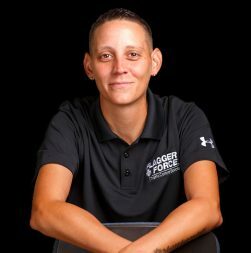 What is your current role with Flagger Force? David Russ: I am an Advanced Crew Leader. I work on a lot of complex setups and big highway jobs. I have been with Flagger Force for about two years, and I have to say that I have seen a lot of things in that time, especially in my role. I work a different job nearly every day and get to experience a wide variety of locations and conditions. Flagger Force: Do you enjoy working those types of jobs? David Russ: Oh yeah! I especially enjoy highway jobs. For example, a few weeks ago I was a lead on a rolling-stop highway job in Frackville, PA. The client was using a helicopter to work on electrical wires across the roadway. It really interests me to see the elaborate coordination that goes into creating a safe work area for those few minutes the client has to get the actual work done. 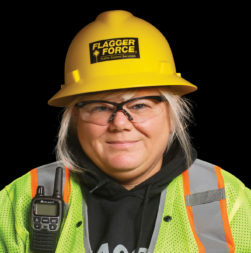 Flagger Force: When you work highway jobs, what are you typically doing? requires nerves of steel at times. Flagger Force: Tell us more about the TMA work. David Russ: When we do rolling stops and we pull off the side to let the traffic pass, we have to constantly watch our mirrors. There are so many distracted motorists recklessly speeding past, and they could easily collide with us or someone else. I have never been in a TMA that was struck by another vehicle, but you see all over the news how construction workers get hit by distracted motorists while working in their work zones. We work a dangerous job every day, and sometimes motorists need to be reminded of that. I take pride in my job and the level of safety Flagger Force provides our clients, and I think that shows through our work. 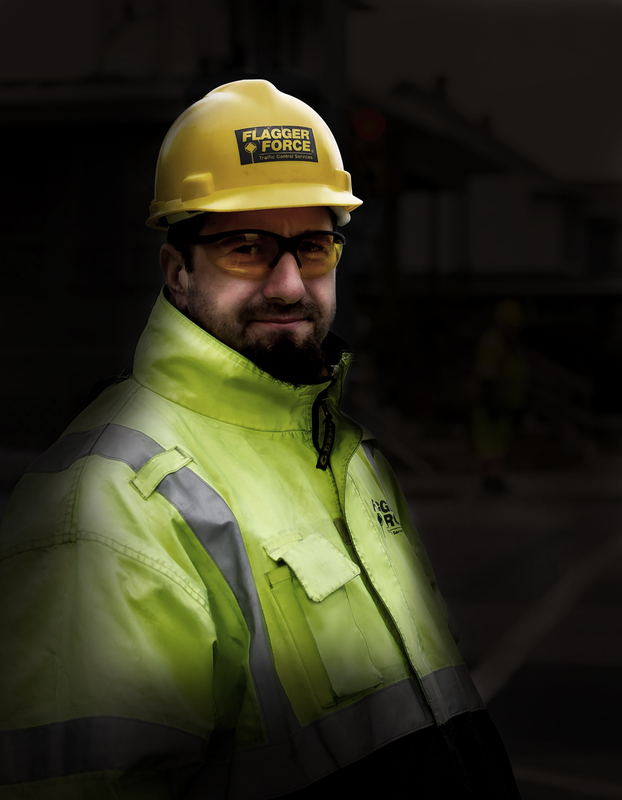 Flagger Force: Can you share with us an interesting job you have worked on? David Russ: I worked a blasting job over the summer on Interstate 81 and Interstate 78. There were 13 people on that job. I can’t stress enough how important communication is, particularly on those types of jobs. It was similar to a puzzle, putting all the pieces together for such a large group of people. The job went great. I was happy, and I know the client appreciated the work we did. Flagger Force: It sounds like you truly enjoy your role here and the jobs you do. David Russ: I really love it. I see a lot of work sites on the road, and you can see a big difference between our setups and others’. I put 110% into my job every day, and I truly make safety a top priority. I know our clients value that. Flagger Force: When you’re not working, what do you like to do? David Russ: I am a big outdoorsman. Hunting season is my favorite time of the year. I go to Ohio with my friends and relax. I also fish in the Susquehanna River. I used to be a guide on the river a while ago. Being in the outdoors is one of my favorite things!